In addition to owning and managing land, the Door County Land Trust relies on another important tool to protect places of significant ecological or scenic value—conservation easement agreements. Conservation easements are legal agreements between a property owner and the Land Trust that permanently restrict the type and amount of future development that can take place on a property. Through these permanent restrictions, the land’s scenic and conservation values are protected. 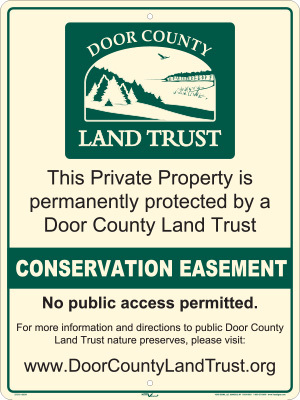 The Door County Land Trust is responsible for upholding the terms of conservation easement agreements in perpetuity. Lands protected through conservation agreements remain in private ownership and are not open to the public. Occasionally, conservation easement landowners allow the Door County Land Trust to feature their protected property on guided hikes. 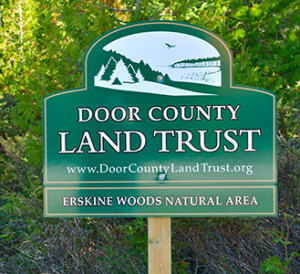 The Door County Land Trust often works in partnership with municipalities, government agencies and other conservation organizations. 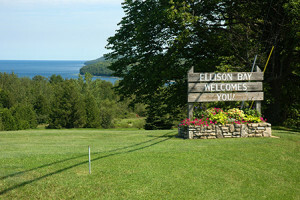 Properties such as Grand View Scenic Overlook and Park and Schwartz Lake Preserve at Shivering Sands were purchased and protected by the Door County Land Trust and subsequently transferred to other entities for long-term care and management. Guided hikes are offered once in a while to places the Land Trust purchased and transferred to conservation partners. Learn more about transferred lands. In addition to the nature preserves described in the Preserves to Explore section of this website, the Door County Land Trust owns or has helped protect many other special places throughout Door County. Due to their size, physical characteristics or ecological sensitivity, many of the lands we own have limited or no amenities such as trails, kiosks or parking areas. These natural areas are best enjoyed through guided hikes.